Jarred Stamoulis is the consummate professional. A highly motivated, approachable and passionate individual, Jarred’s selling philosophy is based on delighting his clients and delivering them a great customer experience. Jarred brings to real estate an outstanding set of skills. With a Bachelor of Laws Degree with Honours and as a qualified solicitor, Jarred not only knows about the legal aspects of buying and selling properties, but he also possesses the analytical and communication skills to handle even the most complex of negotiations. As an experienced facilitator and trainer with a Certificate IV in Training and Assessment, clients can be assured that Jarred can accurately and succinctly explain the real estate process to vendors and purchasers alike in a clear and concise way that allows for a seamless transition of property and an enjoyable experience. Jarred is passionate about real estate and consistently delivering the very best real estate experience possible for his clients. More importantly, his personal philosophy of “having a positive influence on the lives of people with whom he talks and works every day” stands him apart from other people. 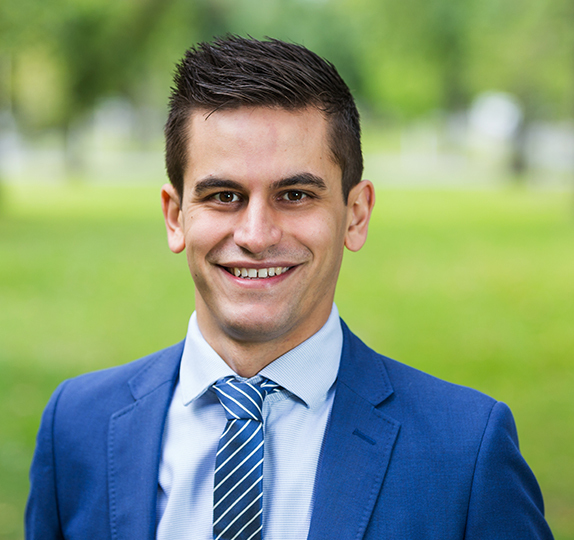 If you are seeking a dedicated and highly motivated individual, an individual with the highest level of integrity and a focus on service excellence and an individual who can and will deliver high-quality outcomes, then Jarred is the person to assist you with your next property transaction. Fantastic and honest service and appreciated all the assistance. Really good dealing with Tom/ Jarrod, always prompt with returning calls and keeping me up to date on any queries. Really impressed with Jarred. Couldn’t fault him. Excellent friendly team also. Thanks so much! Will recommend. Jarred was fabulous. Made a very difficult time stress free. He worked hard to get a fabulous price for the property. Very grateful for his efforts. You guys made buying our first home such an easy experience, Jarred was great to deal with! We couldn’t be happier with the service. Jarred was brilliant from the beginning. Informative but not over the top. Easy to deal with and we never felt pressured. Have been and will be recommending Jarred and should the need arise in the future for his services again, we’d certainly be in touch. We were provided Harris Real Estate (Tom and Jarred) through good friends of ours. Their professionalism, enthusiasm and passion for their trade were beyond reproach. As soon as you meet them, you knew they were the right agent. They provided a comprehensive explanation of the process and fees – all of which were realistic and accurate. From our first meeting, photos were taken, open houses were conducted, offers were received, contracts were signed and settlement arrived in a grand total of eight short weeks! A remarkable result. I am so grateful to our friends for providing Tom and Jarred’s details. I promise you won’t be disappointed. In the brief time that we were looking for a unit for our daughter, it soon became apparent that the Harris properties were always presented in a very attractive manner. The true potential of Harris Real Estate property is apparent as soon as it reaches the market. We found the advertising was also presented as an honest appraisal of the unit. This was important as we did not have an opportunity to view it prior to purchase. I highly recommend Jarred to all and everyone. He is extremely personable and hard working. He delivered the sales results in excellent timing and with a highly professional approach. I would highly recommend dealing with Harris, especially Jarred. He made the whole experience so much easier to deal with. He was available to answer any questions that we had, such a great and friendly person to deal with. Having sold a few properties previously I’d rate Jarred as the best agent I’ve used. Gave honest and sound advice and the level of contact throughout was superb. It was made more complex given we live overseas but I trusted Jarred to be our advocate. I felt at all times he was solely committed to achieving the best result for us. We were really pleased with the result and the quick time frame in which the property sold. Thanks and well done Jarred. I was very impressed with the service I received from Harris Real Estate when buying my first home; the agents were helpful, professional and provided a great deal of support throughout the buying process and afterwards. I would be happy to deal with Harris again when buying/selling future properties. Thank you for making the buying process easier to manage! It was a pleasure to purchase a property through the Harris Team. Everything went smoothly and their communication and attention to detail were excellent. Very professional and stress-free sales process. Well done to the team, would use again. Jarred was easy to deal with and very professional. We were very pleased with our dealings buying through Jarred and Tom, so much so that we decided to list our existing property for sale with them. Awesome service from Jarred, went out of his way to help me with getting the keys to my work and checking on electricity problems for me. Didn’t make me feel stupid with all my questions about my first home, and have recommended him to others. I should also say that I was impressed with Jarred’s professionalism, very cheery and helpful and I appreciated the follow-up with me. Well done and you are a credit to Harris. I would recommend Harris to anyone buying or selling a home. They do extra little things to make it a special event in your life, like sending the postcards to send to people and making sure I was happy with the way the house was left. It showed a lot of concern for the buyer. Excellent customer service, would recommend to friends. Would use Harris Real Estate again, if moving again. Very professional & were able to achieve a good result for us. Harris is truly an exceptional real estate company. I wouldn’t trust the sale of my house to anyone else. Jarred made the purchase of my new property a stress free transaction. I really appreciated the post settlement call to confirm I was happy with my new home. Marketing of our property was great and Jarred kept us up to date with feedback. Our final price exceeded all expectations. We couldn’t be happier. Excellent, professional, friendly and kept me up to date at all times. Would definitely recommend and use again. HARRIS RE in our opinion, are exceptional in terms of the relationship they form with clients: they communicate honestly, swiftly with skill and insight. One can be easily lulled into the feeling that they have no other matters to attend to than one’s own! Thank you. Added to which the behind the scenes service was, for us, cheerful and always on the ball. We would highly recommend Harris Real Estate, we have had 2 good experiences with them and would not hesitate to use them again for all real estate transactions buy or sell. We engaged Harris to sell our home in June 2018. Jarred was the agent who worked with us to sell our home and we found Jarred to be knowledgeable and very helpful. It took a few weeks to sell the home and Jarred made sure to keep us informed regularly about the home opens and feedback. Jarred was great at negotiating the price on our behalf and we would certainly recommend Jarred and Harris if our friends were looking to sell/buy a home. Jarred made our experience easy and hassle free. Buying a house is stressful but Harris was a pleasure to deal with and also very helpful, just what we needed after a year of constantly looking for our dream home. I couldn’t speak highly enough of these guys. The Team were very professional; they kept good communication, guided me very well through the process and gave excellent suggestions and were very warm and polite. Tom and Jarred were both lovely and professional from the start. They were very approachable, supportive and discussed each step with us as we went along. We were able to sell our house in one week after the very first open. Thank you very much! Excellent communication all round, quick in getting back to us as well. Happy to use Harris Real Estate again. Very professional service.